Aerial View Dolomiti Mountains Over Falzarego House Into The Parking Lot. 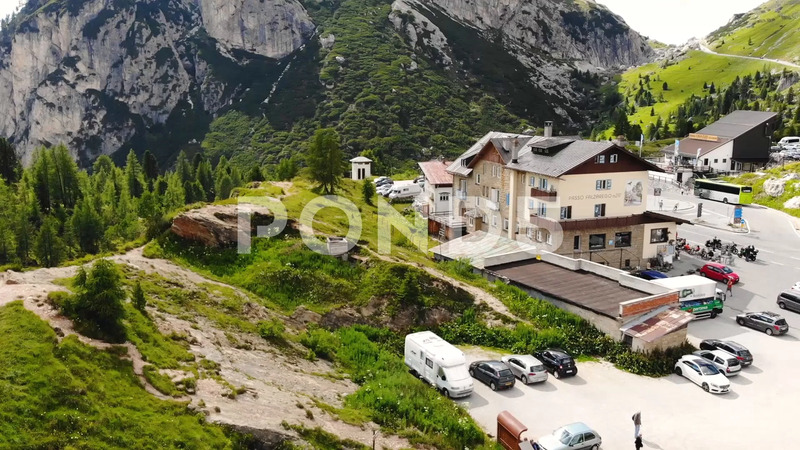 Description: Aerial View Dolomiti Mountains over Falzarego House into the Parking lot. Cars Passing by.